Welcome to the Alemán Lab. 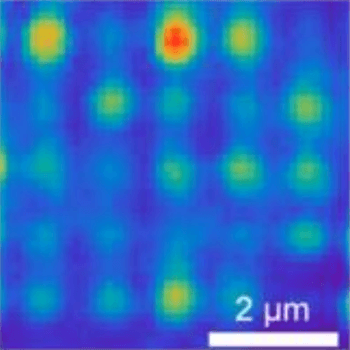 We are an experimental physics group working loosely within the boundaries of condensed matter; our interests range from micrometer and nanometer-scale optical, mechanical, and electronic systems to spin in the solid-state (spintronics) and materials science. It is our mission to use physics as a platform to unravel the mysteries of the universe and to develop new methods, knowledge, or technologies that find useful and beneficial applications in our world. This scanning electron microscope (SEM) image shows our graphene “trampoline”, which we’ve tinted in green. The trampoline is fully suspended and attached to the surrounding frame by four tethers. 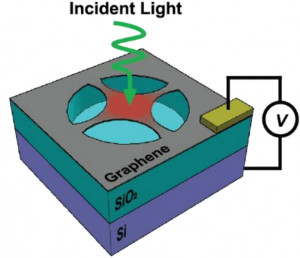 Like a full-size trampoline, the graphene version can vibrate. We use changes in the vibrations to measure light. 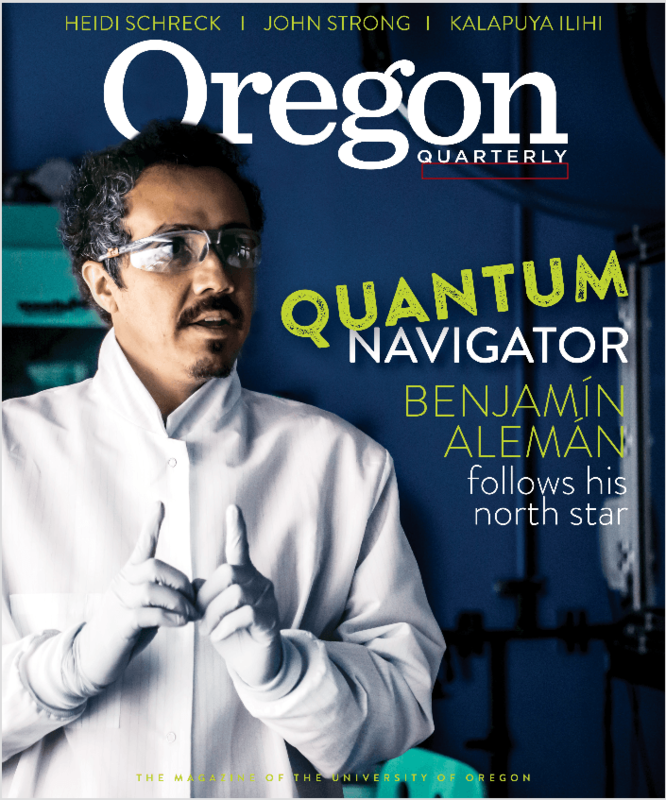 News: Read the Oregon Quarterly cover article about the Alemán Lab, The North Star Project, and a bit about Benjamín’s life. 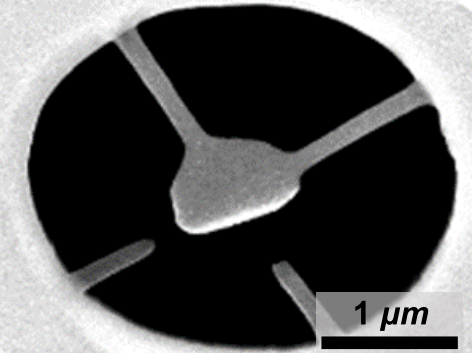 We have nanofabricated quantum emitter artificial atoms in 2D hexagonal boron nitride. 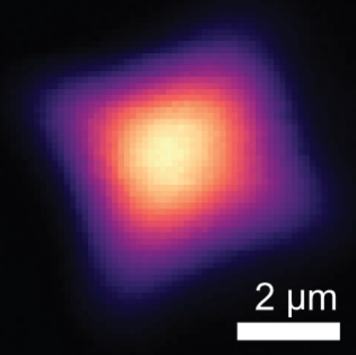 Now we will be able to put one of these artificial atoms anywhere we want, like in photonic circuits or mechanical resonators, or we could use them in new quantum information and sensing technologies! 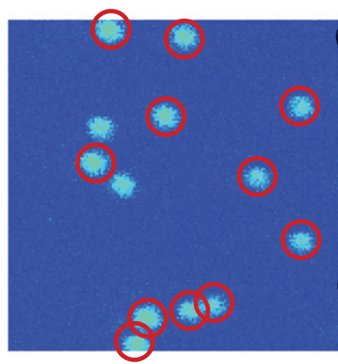 The paper describing our findings was published in the journal Nano Letters. Congrats to Josh Ziegler, Rachael Klaiss (her first paper) and the rest of the team! 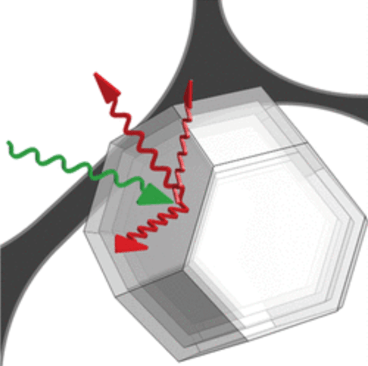 This is also our first paper with our collaborator Prof. Viva Horowitz of Hamilton College. 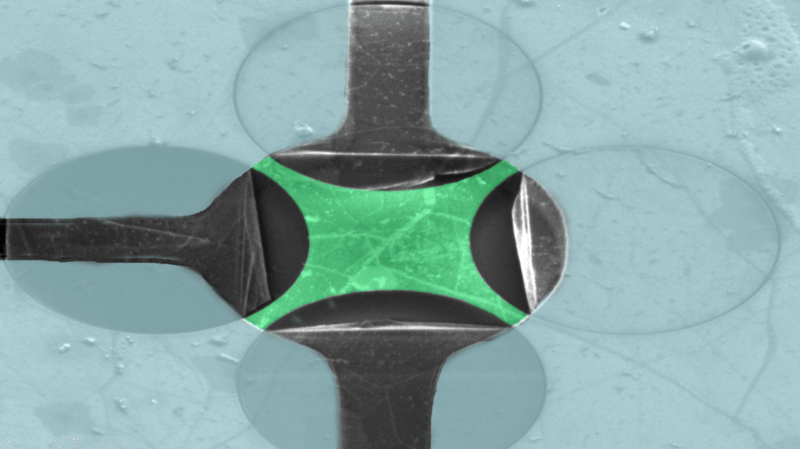 We can control the shape of a single-atom thick drum by cutting it. 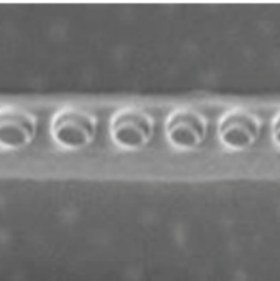 This work could lead to better mass detectors, to detect things like atoms, molecules, or harmful viruses. Read all the details in our recent paper (IEEE). Congrats to David Miller, Andrew Blaikie, and Brittany Carter (her first paper!!!). 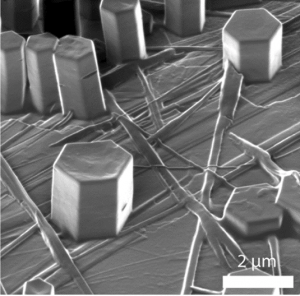 David Miller’s work on shaping graphene drumheads appeared in 2D Materials (2017): “Shape tailoring to enhance and tune the properties of graphene nanomechanical resonators.” Congratulations to David! !